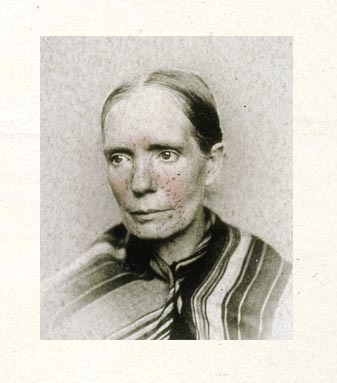 Gastrointestinal issues with rosacea have long been noted in literature. The RRDi is classifying Gastrointestinal Rosacea [GR], aka Gut Rosacea, as a rosacea variant. This is because treatment of rosacea using antimicrobial drugs, as well as other drugs through the gut (i.e., 'a mixture containing sulphate of iron and sulphate of magnesia'), systemically, has been an accepted treatment for many years, and in recent years, probiotics have become an accepted treatment which also is transmitted through the gut. Leonard Weinstock, MD, who volunteers on the RRDi MAC is involved with improving rosacea though the the gut and received a Galderma educational grant through the RRDi to increase the knowledge about this subject. Other Microorganisms have been associated with rosacea as well, such as demodex mites. There are a number of other bacteria associated with Demodectic Rosacea (whether these bacteria associated with demodex end up in the gastrointestinal tract remains to be seen). We have no indication that the bacteria from the demodex can somehow survive the gastrointestinal tract but it may be possible? Nevertheless, there are oral systemic treatments such as oral ivermectin that is used to treat rosacea patients through the gut systemically (however, in this case the variant Demodectic Rosacea is preferred in distinguishing this variant of rosacea). There are a number of associated gut diseases with rosacea, including Inflammatory bowel disease, SIBO, and Ulcerative Colitis  . Also Probiotics have been shown to improve rosacea. Dr. Whitney Bowe, who serves on the RRDi MAC, has been an advocate of probiotics for rosacea and you can learn more here. When treatment for low gastric acid level improves rosacea this would be an indicator of using the variant Gastrointestinal Rosacea [GR] in classifying this type of rosacea. For more information on Low Gastric Acid and Rosacea. Therefore, if treatment of the gut for rosacea with antimicrobial drugs improves symptoms or using probiotics improves gastric and rosacea symptoms, along with any signs/symptoms of gastrointestinal complaints in patients, Gastrointestinal Rosacea [GR] seems an appropriate variant name to use and is valid as other variants used in the classification of rosacea into phenotypes and variants. The origin of this variant name was inspired by a discussion with Lady Cappuccino in post no 37 at RF in this thread. If you think of a better name for this variant post in this thread, please. Br J Dermatol. 2016 Dec;175(6):1405. doi: 10.1111/bjd.15052. Epub 2016 Oct 17. Association between rosacea and gastrointestinal disorders. Alexoudi A1, Alexoudi I2, Gatzonis S1. Lacey N, Delaney S, Kavanagh K, Powell FC. Positive correlation between serum immuno-reactivity to Demodex-associated Bacillus proteins and Erythematotelangiectic Rosacea. O'Reilly N, Menezes N, Kavanagh K.
Br J Dermatol. 2012 Jun 18. doi: 10.1111/j.1365-2133.2012.11114.x. Demodex-associated Bacillus proteins induce an aberrant wound healing response in a corneal epithelial cell line (hTCEpi). O'Reilly N, Gallagher C, Katikireddy K, Clynes M, O'Sullivan F, Kavanagh K.
Invest Ophthalmol Vis Sci. 2012 Apr 24. The potential role of Demodex folliculorum mites and bacteria in the induction of rosacea. Stanislaw Jarmuda, Niamh O'Reilly, Ryszard Zaba, Oliwia Jakubowicz, Andrzej Szkaradkiewicz and Kevin Kavanagh. Media reports have highlighted demodectic rosacea. Staphylococcus epidermidis: A possible role in the pustules of rosacea. J Am Acad Dermatol. 2010 Oct 11. "No study in rosacea met our inclusion criteria....No studies could be included that assessed S. aureus colonization in patients with rosacea. Also in current review literature S. aureus is not implicated in the pathophysiology of rosacea ...As S. aureus is common at all depths of the skin...For patients with acne a relation between colonization and the disease was less evident and for rosacea no information about colonization could be obtained from the literature." Eur J Clin Microbiol Infect Dis. 2016; 35: 1069–1077. Br J Dermatol. 2017 Jan;176(1):100-106. doi: 10.1111/bjd.14930. Epub 2016 Oct 31. Rosacea and gastrointestinal disorders: a population-based cohort study. Egeberg A1, Weinstock LB2, Thyssen EP2, Gislason GH3,4,5, Thyssen JP1. J Physiol Pharmacol. 1999 Dec;50(5):777-86. Helicobacter pylori and its eradication in rosacea. Szlachcic A1, Sliwowski Z, Karczewska E, Bielański W, Pytko-Polonczyk J, Konturek SJ. J Am Acad Dermatol. 2018 Apr;78(4):786-792.e8. doi: 10.1016/j.jaad.2017.09.016. Epub 2017 Oct 26. Comorbidities in rosacea: A systematic review and update. Haber R1, El Gemayel M2.